PORT-OF-SPAIN, Trinidad, CMC – A Trinidadian national, employed as a research economist in Kenya, was among several people killed when Shabab militant attackers held up Narobi’s Westgate Shopping Mall over the weekend killing at least 68 people. Prime Minister Kamla Persad Bissessar has extended condolences to the family of Trinidadian scholar, Ravindra Ramjattan. “It is with deep sadness that I offer condolences to the family of this bright son from Trinidad and Tobago. Having achieved the President’s Medal, Ravindra went abroad and completed his studies, and took up a major assignment in Africa. “Over the years, we have heard where our nationals, serving in various capacities, were violently killed. Here was a young man, approaching 30 years old, with a bright future, cut down by terrorism. May he rest in peace,” she added. Principal of the Presentation College, Gary Ribiero, told pupils and students that Ravindra Ramrattan, a former student, who won the Presidential Medal Gold in 2002, had been killed. “This morning we told the pupils at assembly and we had a moment of silence in his memory. At 11am, we are having a function for all scholarship winners and we will have a moment of silence for him. His photograph was placed on the corridor for all to see him. The pupils and teachers were saddened by his death. The school flag is at half-mast,” he said. 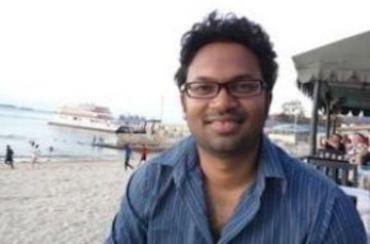 Ramrattan, who was living and working in Nairobi, since September 2011, had attended the Central Trinidad-based College. He attained distinctions in mathematics, chemistry, physics and general paper at the Advanced Level examinations and was named President’s gold medal winner. A Facebook page has since been created in his memory and an invitation has been extended to Ramrattan’s friends and relatives to attend a service at the Buddhist Temple in Nairobi. The Kenyan military said that it had retaken “most” of the Westgate mall and the al-Qaeda-linked militants had been confined to the third floor since their initial assault on Saturday. The Kenya Defence Forces posted on its Twitter that “most of the hostages have been rescued” and that four security forces had taken control of “most parts of the building.